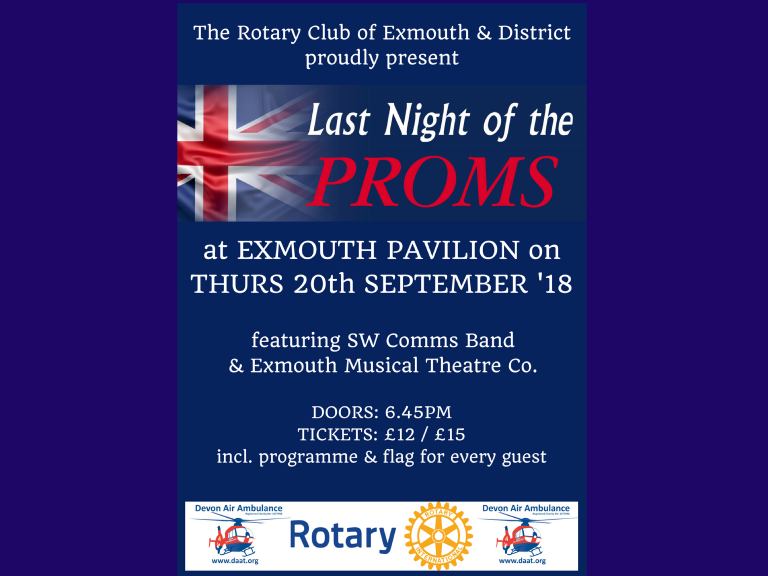 The Rotary Club of Exmouth & District have organised the popular Last Night of the Proms Concerts since 1995 at the Exmouth Pavilion and Exeter Cathedral raising a considerable amount for local and Rotary Charities. This year’s show is on Thursday 20th September, in support of Devon Air Ambulance. Doors open at 6.45pm, for a 7.30pm start. This year’s varied programme, themed Songs from Stage & Screen, is being performed by the SW Comms Band and Exmouth Musical Theatre Company and includes the usual Proms splendid finale with much flag waving. A flag and a programme are provided to each guest at no charge. Always a memorable and enjoyable evening. Tickets cost £12 (stalls) or £15 (raised) and are available directly from the Pavilion - in person, on 01395 222 477 or via the website. Lympstone, a picturesque village on the Exe estuary between Exeter and Exmouth, boasts a brass band whose origins can be traced back over a hundred years. The parish log records the Lympstone Band performing at the Harvest Home and the Sunday School feast in the summer of 1889. The Band, now known as SW Comms Band, is sponsored by SW Comms and is the highest ranked brass band in Devon. Currently in the First Section, it competes at the highest level and recently competed at Championship Section level in Cornwall, achieving a reputable result as well as several best soloist prizes on the day. The Band will be competing at Wychavon Entertainments Contest in November followed by a busy period with Remembrance Day parades, Christmas Carols at Princesshay during December and this year will again be taking part in the BBC Radio Devon Christmas Carol Service at Exeter Cathedral. Exmouth Musical Theatre Company is Exmouth’s own long-established local adult theatre group, which has been entertaining for 108 years! The company is a charitable organisation aiming to provide entertainment of the highest standard across a variety of musical genres through the commitment of talented local people. Over the last year, Exmouth Musical Theatre Company staged ‘Into the Woods’, which was a roaring success. Tonight’s performance is a collection of our favourite numbers from musicals, drawing from our upcoming “Music of the Night” concert at the Pavilion from 21st—24th November. Devon Air Ambulance is a charity that provides urgent medical assistance to people in and around the county of Devon. Our two helicopters allow us to reach emergency scenes within minutes that are often inaccessible by road. With the help of our supporters we save hundreds of lives every year. The charity celebrated its 25th Anniversary in 2017 and during the same year it cost £6.4 million to keep Devon’s Air Ambulances flying. Our charity is established and run by and for the people of Devon. We benefit from enthusiastic support from across the county and beyond, from fundraising by local people and businesses and the help of our incredible volunteers, to the generosity of our donors and those who remember us in their wills. The Rotary Club of Exmouth and District is looking forward to welcome you to this enjoyable evening!